Right next to the being-built-right-now Holiday Inn Express & new Access rd. Near Ottawa's Proximity Park - new business park being developed now. Walmart, McDonalds, I-35, 59 Hwy, 20 miles from BNSF Intermodal Edgerton KS. This location could be excellent for retail development - strip mall, auto repair/sales, sports bar, steakhouse... Both adjoining parcels, 4.8 acres (m/l), being sold together. Located in TIF District. Underground petrol wells removed, remediation project closed by KDHE. mo to mo summer lease. 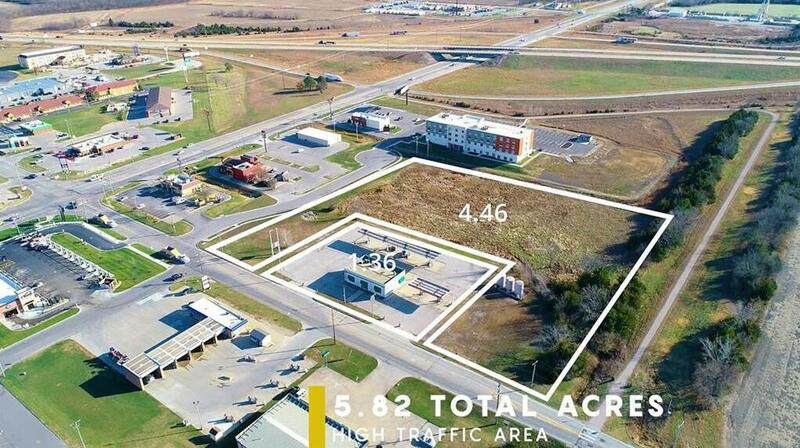 226 W 23rd Street (MLS #2104367) is a commercial listing located in Ottawa, KS. This property was listed on 05/01/2018 and has been priced for sale at $1,000,000. Nearby zip codes are 66078 and 66086. This property neighbors other cities such as Princeton.